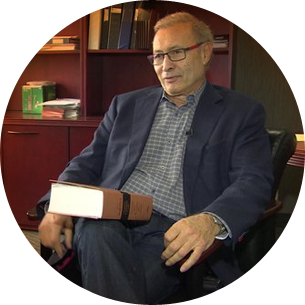 Since 1971, Jeffery Gindin has been practicing law as a criminal defence lawyer. He has appeared in several courts throughout Canada, including Ontario, Saskatchewan, Manitoba, and British Columbia, as well as the Supreme Court of Canada. Mr. Gindin has had the opportunity to represent clients that had complex, precedent-setting, and high-profile cases. He is a highly sought after speaker for a variety of functions and audiences, including the Law Society of Manitoba, police graduates, the University of Manitoba Law School. Mr. Gindin is highly regarded as one of the leading criminal defence lawyers, not just in Winnipeg and Manitoba, but throughout Canada. In addition to representing clients facing criminal charges, Mr. Gindin does teach criminal law courses at the University of Manitoba Law School. He has been teaching law students since 1978. When Jeffrey is not representing clients or educating students, he enjoys working out regularly. He is an avid sports enthusiast and plays in the Manitoba Bar Association Baseball League. As time permits, he also likes to read and travel.